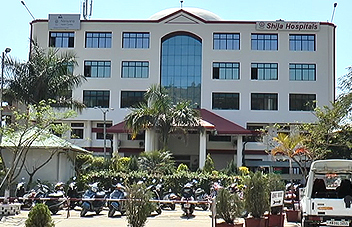 In case any excess payment made on http://www.shijahospitals.com against the Services provided by the Shija Hospitals & Research Institute Pvt. Ltd. , Healthcity Langol, Imphal will only be accepted on the demand of the applicant in manual way through Account Payee Cheque. No amount will be refunded by way of online transaction. The refund process will be initiated once after confirmation that services has not been provided to the applicant. Refund claim receive from the applicant will processed after approval from the competent authority. No interest on excess payment will be applicable to the applicant. No refund policy for the Registration Fee. Additional, no refundable in separate test items of a Health Care Packages. Transactional charge might be deducted from the Refund Amount. For the cancellation process of an appointment, we will notify you of the approval or rejection of your refund. If you are approved, then your refund will be processed, and a credit will automatically be applied to your cerdit card or original method of payment, within amount of days. For any dispute related to any transaction, please contact us at Office of Account Department, Shija Hospitals & Research Institute Pvt. Ltd. , Healthcity Langol, Imphal within 3 Days from Transaction Date.